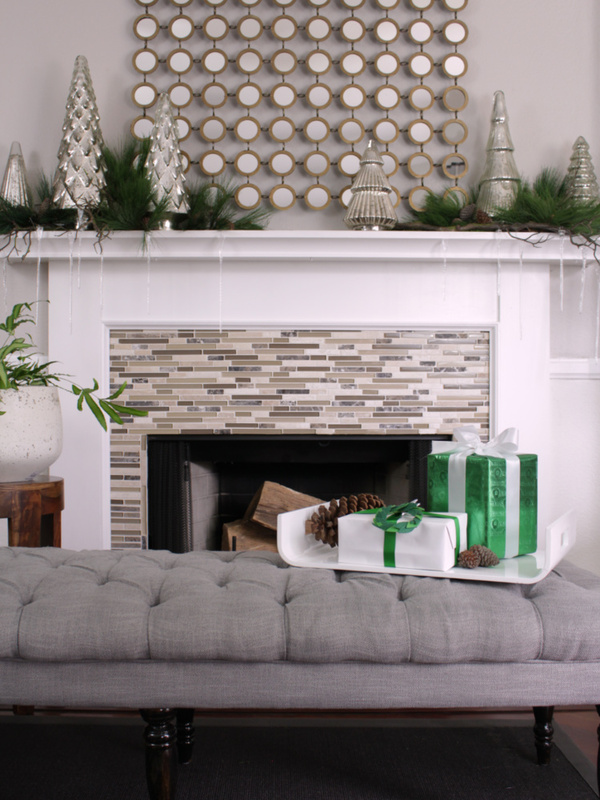 2017 Christmas, via "7 Simple Tips for a Beautifully Decorated Christmas Tree"
These icy snowflakes were the inspiration for this year's winter mantel. 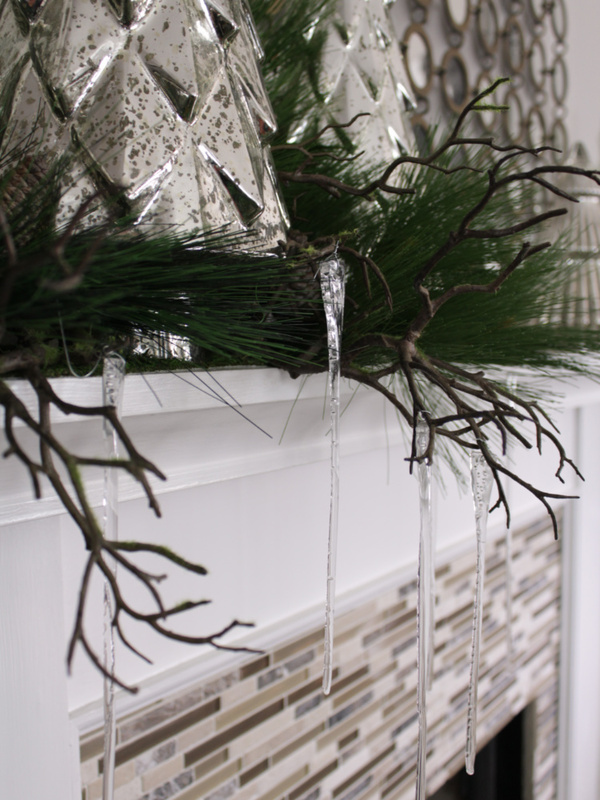 THAT, and also some cool icicle ornaments that I came across on the internet. These hand-blown glass beauties have a more realistic shape compared to your dollar store plastic icicles. I love how delicate they look! I've never seen icicles in real life (sheltered southern Californian) but I assume they look close to what my ornaments look like, LOL. 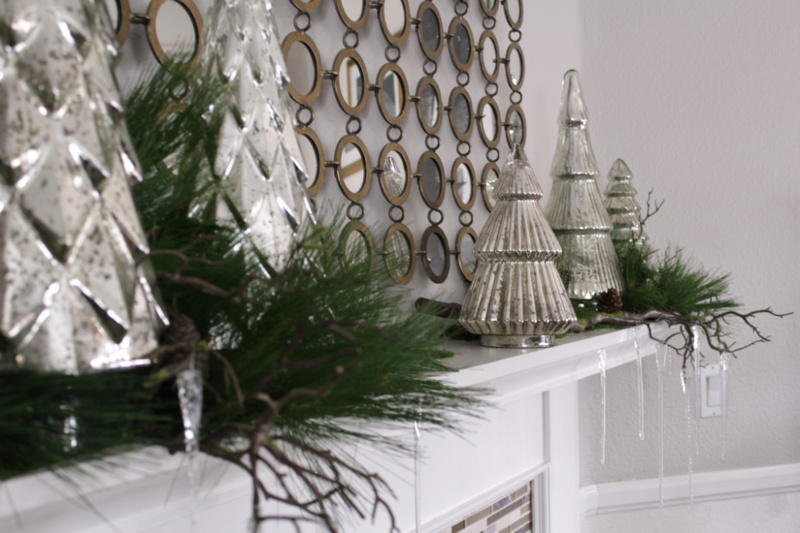 I began constructing my winter mantel by laying out some moss, then adding some realistic branches on top of the moss. Then I nestled a collection of mercury glass trees in between the branches and filled the empty spaces with pine sprays. 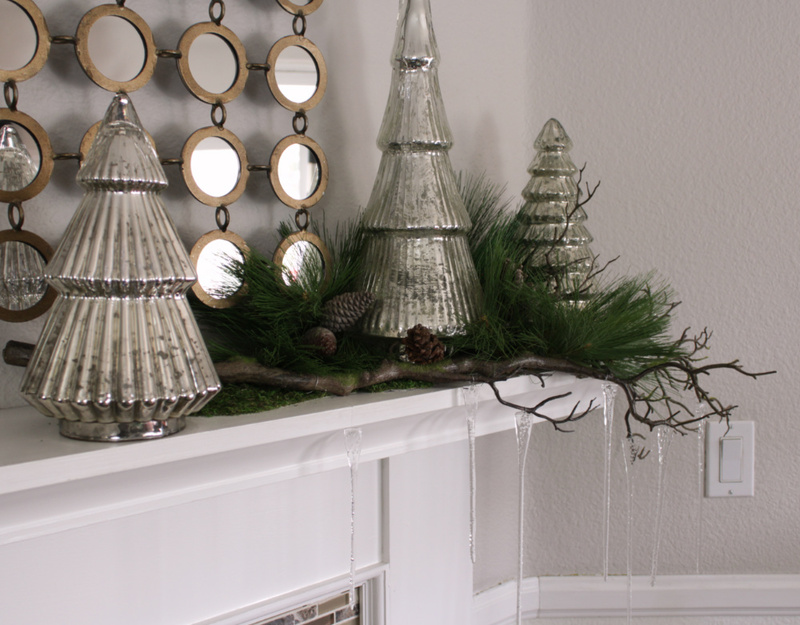 I then sprinkled a few pine cones here and there and then added the glass icicles to the branches and I was done! 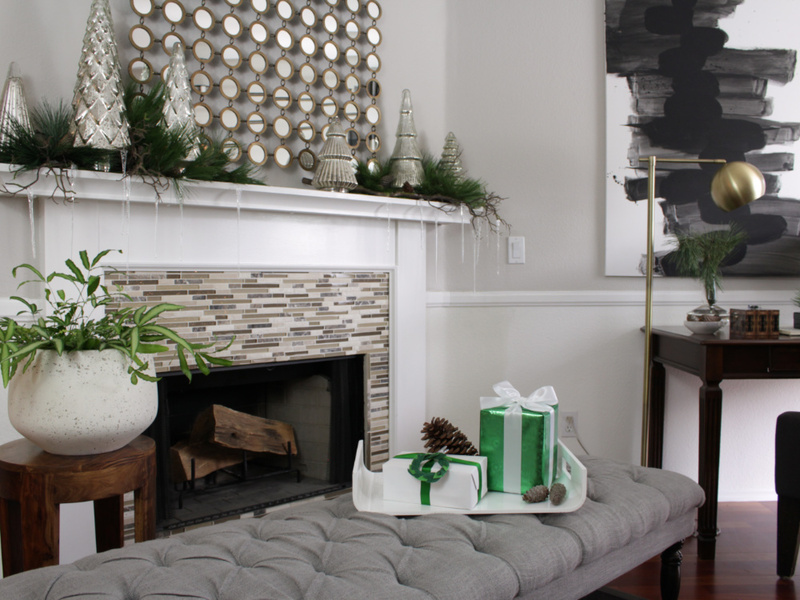 Seriously, a mantel has never come to fruition so easily like this winter mantel did. 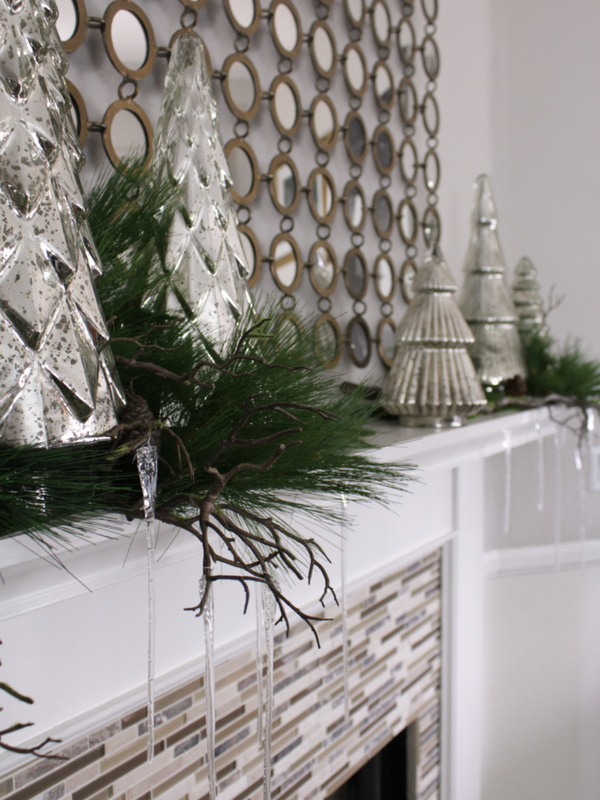 Usually a mantel takes me a few days to decorate! This one I finished in one evening! 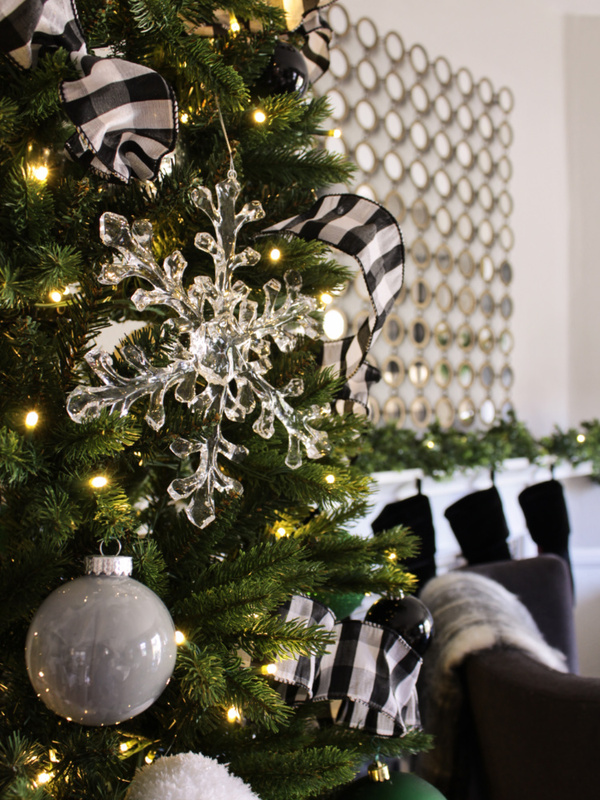 Coming up next: Christmas Home Tour...stay tuned!